Why Are Some CEO’s Lucky, While Others Aren’t? Have you ever wondered why some people seem so much luckier than others? We all know of the CEO or business owner who always seems to win the big sale, hire the best staff, or make money on deals that others run away from. We talk about how lucky he or she is. We also know CEOs and others who never seem to catch a break. They lose the big sale, their biggest customer cancels a contract, and their best salesperson quits to go to work for his old friend from college. We shake our heads and talk about their bad luck. So we classify people as lucky and unlucky all the time. General George Patton once said that when waging a war, he would prefer to have a lucky general vs. an unlucky general working for him. Who wouldn’t? 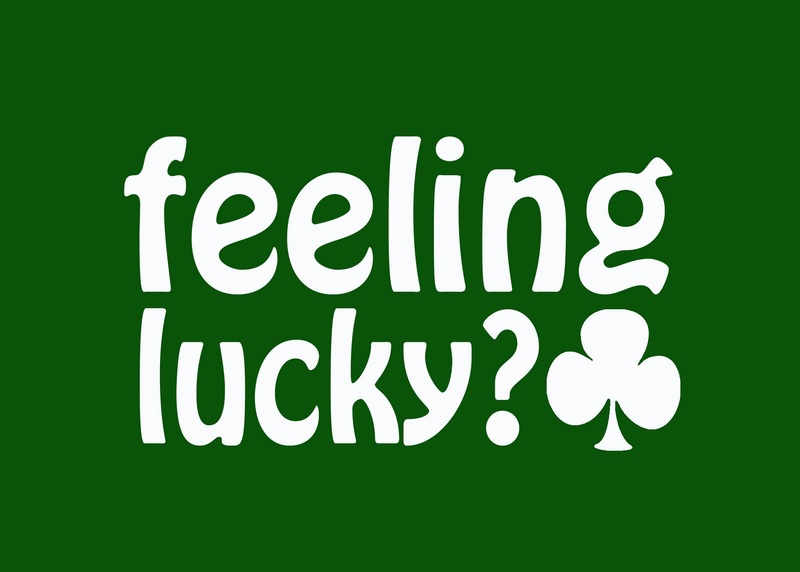 But this makes “luck” sound like a skill, i.e., something that can be learned or developed. Wouldn’t it be great if we could increase our luck and that of the people that work for us? Well, we can! How often have you heard someone say: “You make your own luck”? Max Gunther, the former editor of Time magazine, did a study of the behavior of lucky people and unlucky people, and found that they exhibit distinctly different attitudes and behaviors. He even wrote a book about it, titled: The Luck Factor: Why Some People Are Luckier Than Others and How You Can Become One of Them. Lucky people have large friendly networks of people. The bigger that network, the more opportunities that others can bring to you. If you don’t know a lot of people, the chances of someone tossing an opportunity your way is rather slim. Stay in your office and stop connecting with people, and your opportunities will dry up. Lucky people act on hunches. When they intuitively see something as a positive opportunity, they act on it, while on the other hand, unlucky people tend to ignore or downplay their hunches, and are reluctant to act on them. It’s not enough for an opportunity to present itself. You have to act on it to take advantage of it. Lucky people do that. Lucky people are bold. Unlucky people tend to be more passive and afraid to take risk. A lucky person acts boldly (but not rashly) when presented with a good opportunity. Lucky people know when to walk away. They know when something isn’t working, and they stop wasting time or money on it. Unlucky people tend to keep drilling dry wells and throwing good money after bad, trying to recover sunk costs. Lucky people cut their losses and accept that not everything works all the time. Lucky people have a healthy sense of pessimism. They know that things can go wrong, and when they do, the lucky person accepts it, and doesn’t anguish over their loss. Unlucky people tend to agonize over losses, and become even more hesitant to try a new venture. If we study these five traits or behaviors, we can see that people can actually learn to be lucky, or at least improve their luck, provided they have the capacity to change their behaviors. Look at yourself and your staff. Are you a lucky person? Does your staff exhibit lucky behaviors? If the answer to either of these questions is “no,” you might want to encouraging some attitudinal shifts. Expand your network. Analyze and act on hunches that look like they might pay off. Act boldly and without fear when you sense an opportunity might pay off. If it’s not working, stop doing it and cut your losses. And last, accept that not everything works out the way you planned. But don’t let that stop you from trying again.